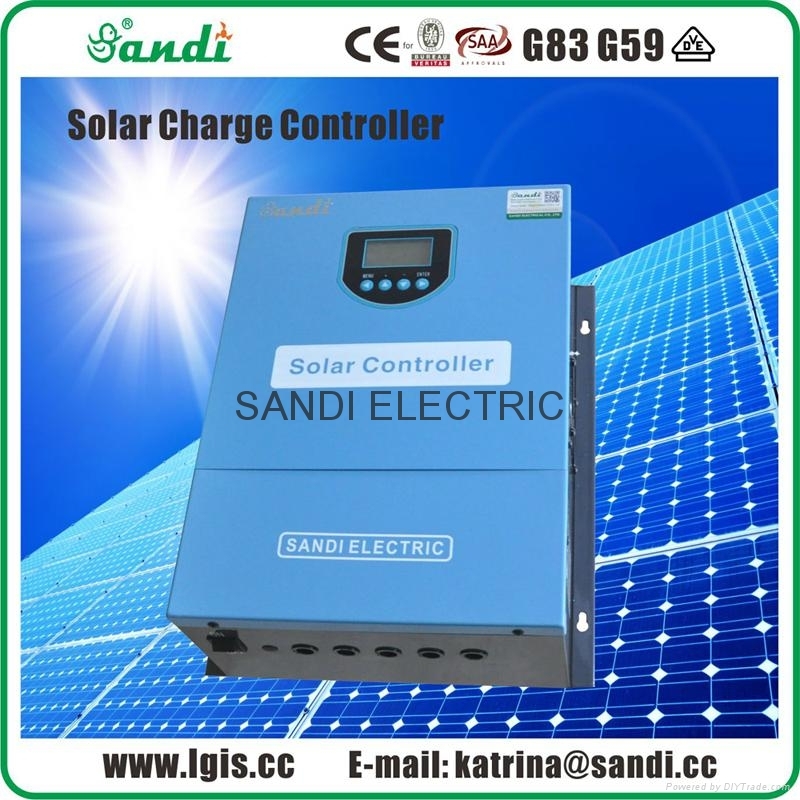 Sandi Series Solar Charge Controller is a smart PV controller designed for off-grid PV power system. It has good running performance with LCD display and convenient operation. 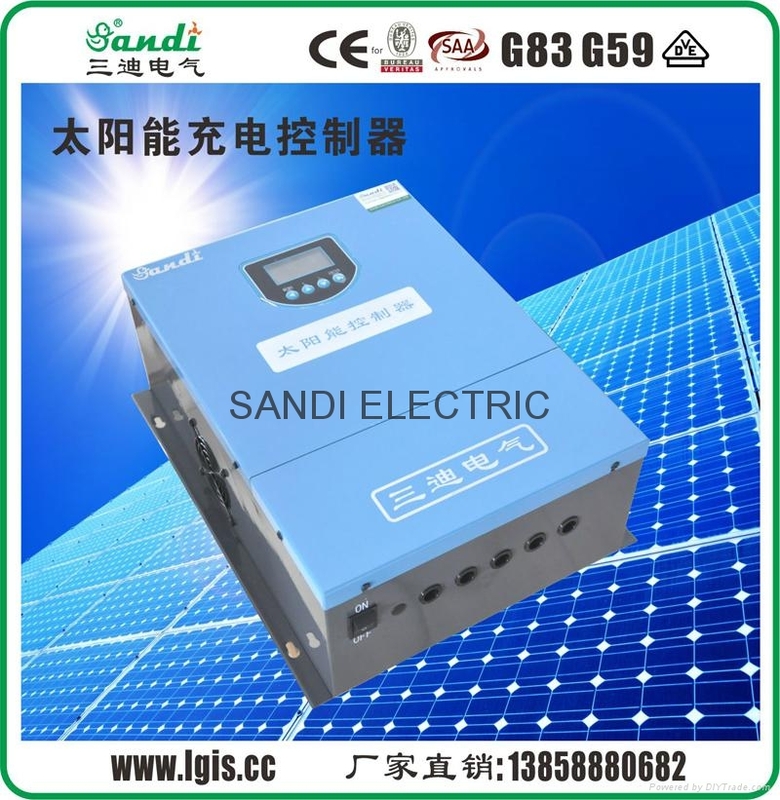 And also automatically control solar cell cut or connect ordinarily according to the change of battery voltage. 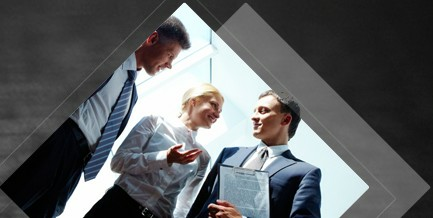 This controller makes a full advantage of solar cell resource and also keep battery safe and reliable. 240V、 360V、480V and other normal series voltage level base on different battery voltage of off-grid PV power station system project. High efficient PWM charging technology which has three charging stages (buck charging stage, equalize charging stage and float charging stage), and improves battery storage efficiency and charging efficiency.